The food stamp program has grown from 32 million to 47 million Americans. Add to that 80 million beneficiaries roughly 40 million Americans age 65 or older on Social Security and Medicare (about 9 million of the 49 million on Medicare, including some under the age of 65, also receive means-tested benefits). That 120 million does not include the numerous smaller entitlement programs. Put them all together and a number approaching half of the country participates in an entitlement program. For fiscal year 2012, the country spent roughly $2.2 trillion of its $3.7 trillion budget on entitlement programs-about $400 billion less than the $2.6 trillion in gross annual revenues. In addition, interest on the federal debt was $220 billion. And that’s just the federal spending. 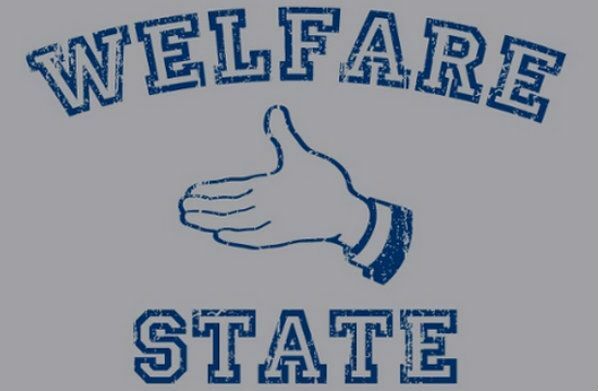 States are spending like it’s going out of style as well: “When state spending is included, total welfare spending rises from $746 billion to $1.029 trillion,” according to the authors. There are a few steps back to fiscal and social sanity. Limit spending to those in genuine need. Encourage economic growth so people can get back to work and off the welfare rolls. And finally, we need to take personal responsibility by saving for our own retirement rather than relying on government or our employers to do it for us.